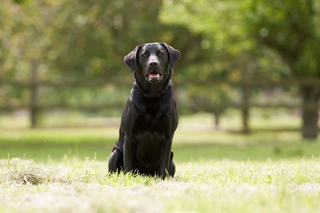 We are proud to introduce ROYAL CANIN®’s very own sponsored hearing dog, Jazz! At the moment, Jazz is living with one of the Charity’s volunteer puppy socialisers as she starts the first phase of her training, which is all about socialisation. Just like any puppy in a new home, she is learning all about life in the big wide world – developing her house-training, obedience and social skills as well as getting used to going out and about. Jazz will remain with her puppy socialiser until she reaches around 12-14 months old, when she will be ready to start her soundwork training at one of the Charity’s two national Training Centres. Once she is fully trained and has passed her assessments she will be partnered with a deaf person, providing a life-changing level of independence, confidence and security by alerting her recipient to important sounds and danger signals. We are very pleased to be sponsoring Jazz’s training and supporting such a great charity. We’ll keep you up to date with all her activities throughout her development. Jazz is living with her puppy socialiser, her two children and a cat too! Of course, living with a cat can initially be quite exciting for a young puppy but with a little work and lots of encouragement with food rewards (for the cat as well!). Jazz is now much calmer with her feline friend. She has been progressing very well with her socialisation, getting used to walking near busy traffic for example. She has also now started her puppy classes with four other puppies and she looks like she has the makings of a star pupil. Over the coming months Jazz will be working hard on achieving her Kennel Club Good Citizens Bronze award so we wish her the best of luck for her training and assessment. We’ll be sure to let you know how she gets on. Jazz loves getting out and about, meeting new people and situations. She is enjoying the sunshine after all the recent rain and has discovered that she loves chasing and retrieving a ball. Until recently she’d decided that carrying and retrieving other things she’d find in the park was far more interesting! She’s not keen on swimming yet, although she will go into the water for a paddle. As a Labrador perhaps her “eureka” moment is still to come, and she’s waiting for the warmer weather. Hearing Dogs for Deaf People’s training department is divided into two main phases: Foundation and Partnership. Jazz must now complete and pass both phases to be placed with a recipient. Jazz started stage 1 Foundation Assessment training, which lasts 10 weeks. In order to pass this assessment the dog must be of a good nature and behave confidently with different people, animals and other dogs in different environments. Jazz must also develop her obedience command skills, such as ‘heel’, ‘sit’, ‘down’ and ‘recall; all in varying environments. Jazz should also be showing progress in telling her owner about every day sounds in the house such as the cooker timer, doorbell etc. Once Jazz has passed her FA, a suitable recipient will be invited to meet her. They will spend a few days with Jazz, during this time both the recipient and trainer will decide whether a successful partnership can be formed. 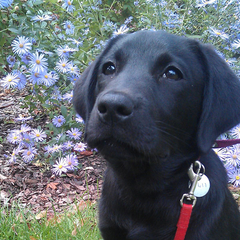 Jazz successfully passed her training to become a life-changing hearing dog. Soon after she completed the training she was matched with 11-year-old Oliver, and now lives with him and his family in the north of England. Deaf children face many challenges relating to their hearing loss, which can lead to anxiety and insecurity. With the physical and emotional support Jazz offers, Oliver’s confidence has grown. He is much more independent, finds it easier to make new friends and enjoy new experiences. Oliver and Jazz have a wonderful understanding and Jazz has made a huge difference to family life.